No Time? No worries. 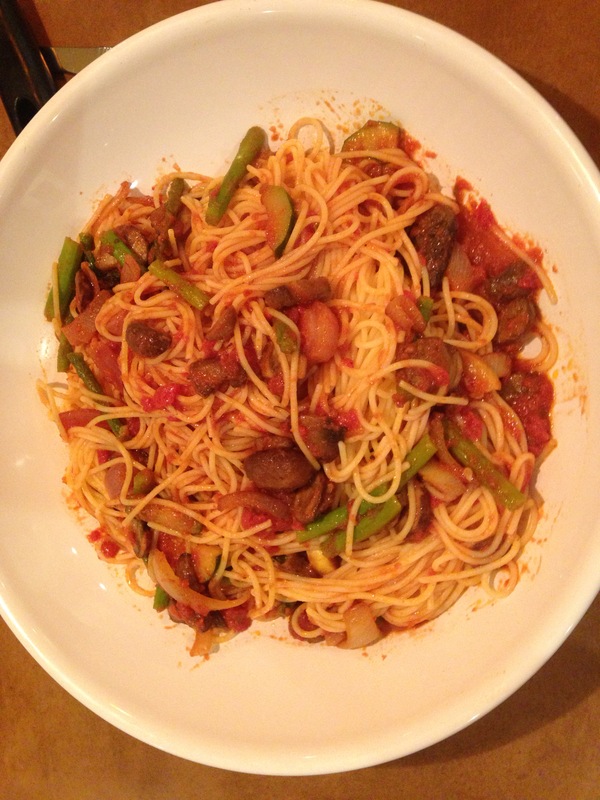 Delicious healthy pasta in 30 min. 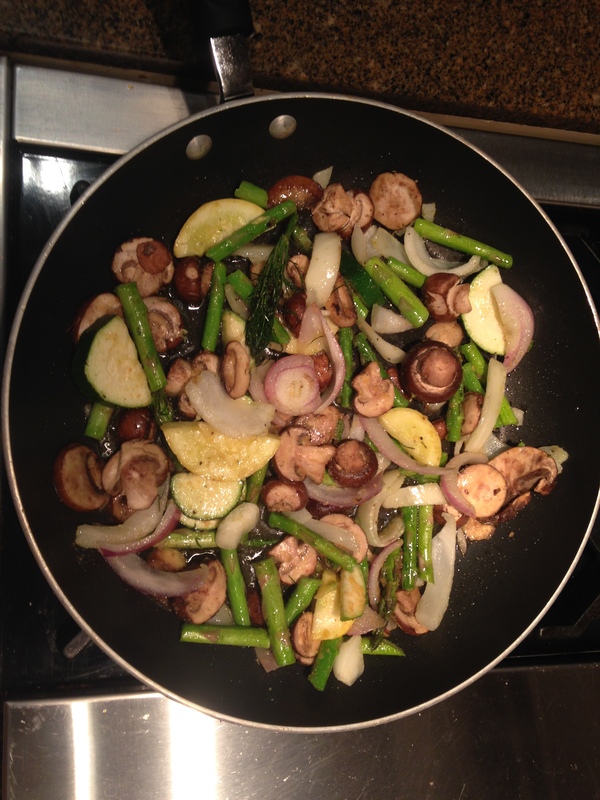 chopped assorted vegetables: zucchini, onion, asparagus, mushrooms, green beans. add crushed tomatoes, beef bouillon, sugar, basil. mix well.